This remarkable true story takes the reader on a journey through the psychic experiences of psychic medium Joseph Tittel. In a brief diary of his life, Joseph discusses his early experiences with seeing spirits as a young child. He explains how he first realized that he had a gift and how he learned to use it to heal many peoples’ lives. Helping to bring closure and validation to hundreds of clients over the years, Joseph shares some of his most intense experiences and messages from those who have passed. 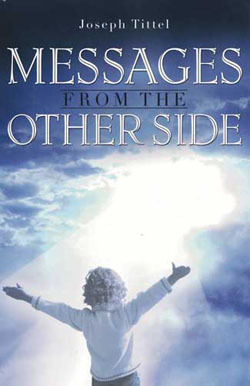 He explains how these messages have helped bring healing in a time of grief and a more fulfilled sense of living for those left behind to deal with their loss of a loved one.